The following is an excerpt from chapter 23 of Systemic Sclerosis, 2nd Edition written by Dr. Laura Hummers and Dr. Fred Wigley. Download the full chapter at the bottom of this page. Many medications are thought to directly or indirectly affect inflammation. In scleroderma, there are two major types of inflammation that are related to the disease process. The first is a more conventional type that can cause arthritis (inflammation in the joints), myositis (inflammation in the muscles), or serositis [inflammation in the lining of the heart (pericarditis) or lining of the lung (pleuritis)]. This type of inflammation responds to traditional antiinflammatory drugs: NSAIDs (e.g. ibuprofen) or corticosteroids (e.g. prednisone). The duration of therapy and the dose of medication are dictated by the specific situation. Some patients will need chronic administration and others will recover after a limited course of therapy. The other type of inflammation relates to the skin and other tissue injury caused by the scleroderma process. This phase of the disease does not appear to respond to NSAIDs or corticosteroids, although the exact role of corticosteroids is not fully studied. There are risks associated with the use of these agents, including gastrointestinal disease, fluid retention, and renal toxicity. Corticosteroid use is also associated with an increased risk of scleroderma renal crisis. Therefore, it is recommended that the use of NSAIDs and corticosteroids be limited to inflammatory states that demonstrate responsiveness. The most popular approach to controlling the inflammatory phase of scleroderma is the use of immunosuppressive therapy. The rationale is that an autoimmune process is causing the inflammation and the downstream result is tissue damage and fibrosis. In this model, the fibrosis is an “innocent bystander” that is driven by the cytokines (chemical messengers) produced by the immune system. There are several drugs that are being used, but only a few well designed studies have been performed. These immunosuppressing drugs include methotrexate, cyclosporine, antithymocyte globulin, mycophenolate mofetil and cyclophosphamide. 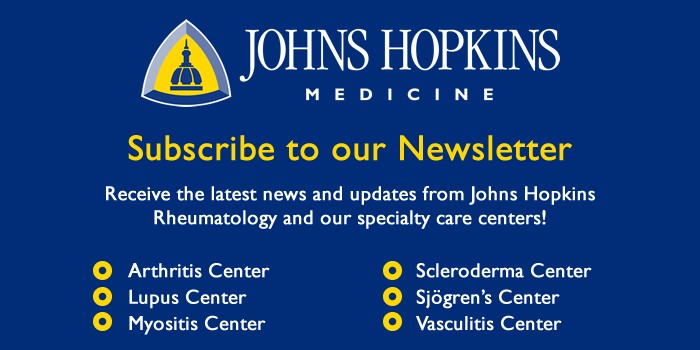 A recent study suggested that methotrexate did not significantly alter the skin score (a measure of skin thickening) compared with placebo (no treatment). Cyclosporine is not completely studied due to reports of renal toxicity. The most promising drugs are mycophenolate mofetil or cyclophosphamide with or without antithymocyte globulin. Unfortunately, there is no placebo-controlled study (i.e., half the patients get the medication and half get a sugar pill) to define their exact role in treating scleroderma, but if used during the active inflammatory phase of the disease, they appear to work. A major area of current research is the use of aggressive immunosuppressive therapy either with very-high-dose cyclophosphamide or with autologous bone marrow transplantation. Because these aggressive forms of immunosuppressive therapy have potential risks, they should be used in severe cases of scleroderma and administered as part of a research protocol. The vascular disease in scleroderma is widespread and affects medium and small arteries. It is manifest clinically as Raynaud’s phenomenon in the skin, and there is evidence that repeated episodes of ischemia (low-oxygen state) occur in other tissues. Low blood flow into the skin and tissues is thought not only to damage tissue by the lack of nutrition and oxygen but to activate fibroblasts and promote tissue fibrosis. Therefore, treatment of the vascular disease is now considered crucial to controlling the disease as a whole as well as preventing specific organ damage. There are three major features of the vascular disease that potentially need treatment: vasospasm (spasm of blood vessels), a proliferative vasculopathy (thickening of blood vessels), and thrombosis (blood clots) or structural occlusion of the vessel lumen (blockage of blood vessels). Vasospasm is best treated with vasodilator therapy (drugs that open blood vessels). The most effective and popular vasodilator therapy continues to be the calcium channel blockers (e.g., nifedipine). Studies demonstrate that the calcium channel blockers can reduce the frequency of Raynaud’s phenomenon attacks and reduce the occurrence of digital ulcers. It is now known that the microcirculation of each organ has a unique mechanism for controlling its own blood supply. The skin blood flow is regulated by the sympathetic nervous system; the kidney blood flow by locally produced hormones such as renin; and the circulation in the lung by endothelin, prostaglandins and nitric oxide. There are very specific agents to counteract the negative influence of the scleroderma vascular disease on each involved organ. For example, the calcium channel blockers are reported to help blood flow to the skin and heart; angiotensin converting enzyme inhibitors (ACE) inhibitors reverse the vasospasm of the scleroderma renal crisis; and bosentan (a new endothelin-1 receptor inhibitor) or epoprostenol (prostacyclin) improve blood flow in the lung. Although there are several vasoactive drugs on the market that are being used to treat vascular disease, there is no agent that is known to reverse the intimal proliferation (thickening of the inner layer of the blood vessel) that is part of the scleroderma vascular disease. Drugs that reverse vasospasm (calcium channel blockers, bosentan, prostacyclin, or nitric oxide) all have the potential to modify the course of the disease. There is evidence that these vasodilators may also directly affect the tissue fibrosis. For example, bosentan may be of benefit because it inhibits endothelin-1, a molecule produced by blood vessels that can also directly activate tissue fibroblasts to make collagen. The final outcome of untreated scleroderma vascular disease is occlusion of the vessels by either thrombus formation or advanced fibrosis of the intima. Therefore, anti-platelet therapy in the form of low-dose aspirin is recommended. Good studies to determine if antiplatelet or anticoagulation therapy is helpful do not exist. In an acute digital ischemic crisis (sudden development of threatened loss of a digit), anti-coagulation (use of blood-thinning medications) is often used for a short period. It has been know for years that, in scleroderma, excess collagen is being produced in the skin and other organs. Several drugs are used that have in vitro (in the tissue culture) ability to reduce collagen production or to destabilize tissue collagen. The older medications in this category include colchicine, para-aminobenzoic acid (PABA), dimethyl sulfoxide, and D-penicillamine. Although there is evidence for and against the use of these agents, most experts are disappointed with them and believe that the benefit either does not exist or the drug is not potent enough to warrant its use. D-penicillamine remains a popular alternative for some experts, despite a controlled trial demonstrating no difference between low and high doses of the drug. The search for new drugs that alter the fibrotic reaction is probably one of the most active areas of scleroderma research. Strategies include directly suppressing the fibroblast and its ability to make collagen, inhibiting the cytokines that activate the fibroblast, and the use of agents that might break down collagen faster and promote tissue remodeling. For a more in-depth understanding of the comprehensive care related to scleroderma download Chapter 23 of Systemic Sclerosis (pdf) by Dr. Laura Hummers and Dr. Fred Wigley.